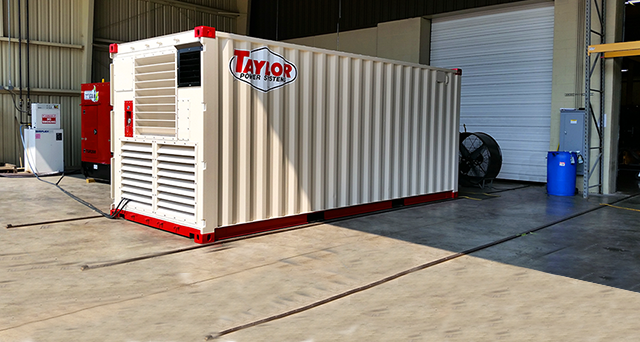 Taylor Power Systems Power Packs are designed and engineered to provide reliable and versatile alternatives to conventional underground or ship supplied power sources. The unit is capable of supplying power for containers anywhere on the terminal or on board ship or barge. The units are totally self-contained in a 20 to 40 foot ISO steel container which allows for easy handling whether for vessel loading/unloading or for positioning on the ground. To assure the maximum in worker safety, the unit is equipped with interlocking power receptacles. Interior lighting is provided by AC lights powered by the generator or by battery powered DC lights on a 30 minute timer. Provides reliable power for up to 10 containers under continuous operation and high ambient conditions. The unit is capable of supplying power to containers anywhere on the terminal or for double stack rail car operation. 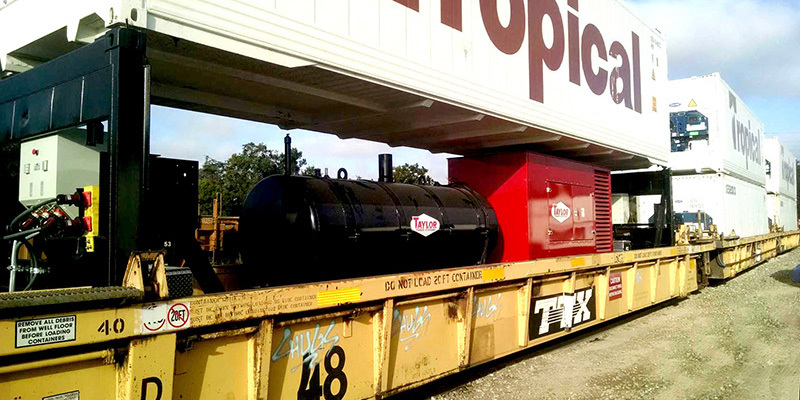 The unit is totally self-contained on a 40 ft. ISO steel flatrack which allows for easy handling for loading/unloading or for positioning on the ground.